I have recently stopped going to 'my' gym, and started going to an unfamiliar one instead. The small increase in travelling time and the extra cost in terms of parking are more than compensated for by the peace and quiet I enjoy as a result of switching. So what's all this about, and how does it relate to educational technology? Let me deal with the second question first, because I wish to keep your attention. Many subject leaders of ICT in schools (and sometimes Local Authorities and other organisations) have a remit to encourage colleagues to use educational technology as well. To do so, one has to tell people about, and demonstrate to people, the benefits. But there is a fine line between doing that, and being completely insensitive -- and thereby disrespectful -- to the other person. Back to the gym. It's not the gym that's the problem, but the restaurant. If you order a cheese sandwich, you get a sort of roll call of every other type of sandwich you could have instead. A request for a coffee is answered by a list of all the health benefits of smoothies. Wondering aloud if you might try the fruit salad, you get a long-winded explanation of all the ingredients therein, why they are healthy and how the fruit was hand-picked from a local farm only hours earlier. You get what you want in the end, but not before having to waste time listening to someone you don't wish to listen to, and without feeling that you have to summon up reserves of assertiveness merely in order to enjoy the light refreshment of your choice. And in the shortest possible time. Consequently, I have decided to vote with my feet. Firstly, I can read. Therefore, I can read the menu. I don't need someone bending my ear about all the things I could have. Does your school have a menu of ICT services that colleagues could enjoy? If not, I think you should make that a priority: not only will it be informative to those colleagues who wish to be informed, it will save you from being an insufferable bore to those who don't. Secondly, there's an implicit assumption that I am not well-informed enough to make a sensible choice by myself. At least, one could infer that. By the same token, to look at this in an educational technology context, if someone tells you they'd like to word-process their worksheets, do you respond by suggesting they may like to consider desktop publishing them instead? I did once, and was unable to understand the negative reaction I received. It's fairly safe to assume that someone who is intelligent and qualified enough to be a teacher is able to decide what they'd like to do with their own worksheets. 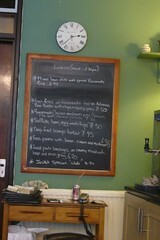 And if you do harbour any doubts about that, you can always refer them to that menu I was talking about. Thirdly and finally, I think it is generally acknowledged that there is nothing worse than an evangelist. As an ex-smoker, I suddenly lurch somewhere to the right of Attila The Hun when anyone inadvertently blows cigarette smoke in my face. Nobody is more tedious than the couple who have just discovered a new holiday resort and insist on showing you -- and describing in great detail -- every single one of the 400 photographs they took whilst on vacation. Similarly, if you start to get the feeling that the staffroom starts to empty when you enter it, and bookings for equipment either dries up or starts to be done on teachers' behalf by trusted students, perhaps it's time to ask yourself if, perhaps, you've been coming on a little strong lately. This article was first published on 23rd September 2009.